I wanted to collect the various podcasts and interviews I’ve done with folks in one place (and thanks to the folks who helped me get this list together since I’m awful at saving these) for those who want to hear me babble about the same stuff repeatedly for 60-90 minutes at a pop. Unfortunately, the nature of Itunes is that I can’t link directly to the podcast I was on. Instead, I’ve linked to the general page and indicated the number of the episode where I babbled. 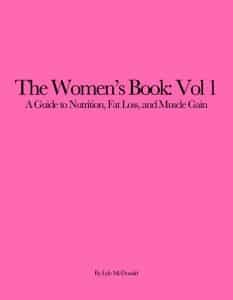 Mike Matthew’s and I did a podcast on women’s fat loss and nutritional issues where I gave some fairly actionable points on how women can improve their overall approach. I did a Podcast with Jeff Nippard for his IceCream4PRs Podcast that kind of went off the rails. It was so long he had to divided it into two parts. I did a podcast on Women’s issues with Juma Iraki of Irakinutrition which you can find here. This is a podcast I did with Broderick Chavez of Evil Genius Sports Performance. He asked me to provide like 6 useful recommendations/talking points and, while I sort of winged it, I managed to lay out some of the common mistakes (and solutions of course) that people make when they approach fat loss. I recently did a follow up podcast with Broderick on the topic of muscle and weight gain. I spent much of my college years and afterwards listening to Dr. Drew and Lovelines and when I had the opportunity to be on his podcast, I couldn’t have been more honored. I was only a fanboy for the first 10 minutes or so. This was a podcast I did with Greg O’Gallagher of Kinobody. Danny Lemon does the Sigma Nutrition radio podcast and this was the one I did with him. This was a podcast I did with two New Yorkers who, despite being chowder-eating yankees, I spoke with. This one doesn’t appear to be on Itunes or online so I’ve uploaded it to my site. When I click the link it shows up as a playable page but it may download itself to your computer. Just be forewarned. This one also isn’t online or on Itunes so I’ve uploaded it to my site. When I click the link it shows up as a playable page but it may download itself to your computer. Just be forewarned. It’s long, nearly 90 minutes and I believe this is the interview I did that crashed his server since I really got a head on and talked pretty endlessly about everything. This is a podcas that I did revolving around some of the information in the upcoming women’s book. This is a bit of an old one (2008) but it’s a collected 5 part interview I did with Steve Troutman for Body-Improvements.